Lipstick and Lightening: The Book Wishlist! 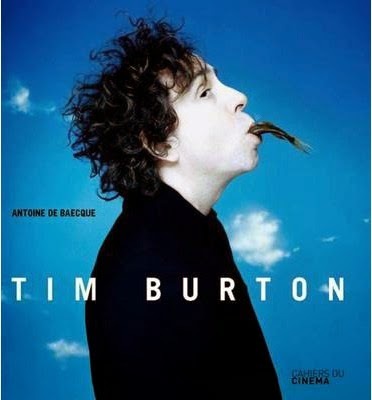 Written by film critic Antoine De Baecque, this monograph explores the work and mind of none other that creative genius, Tim Burton. As you may know, I am obsessed with everything Tim Burton, I just revere him. From his poetry to his movies, everything he does is done with such love, uniqueness, eccentricity, hard work and passion. Antoine De Baecque shows us the keys to Burton's unique vision, film by film, includes interviews with Tim, and takes us behind the scenes to Tim's earliest movies, to his most recent hits. With a complete filmography, it also includes film stills, set photographs and his own drawings. A complete must have for any Tim Burton fangirl, if you have €30 to spare! It's been on my wishlist for too long! In the sanest way possible, I've had an interest in serial killers since I was ten or eleven, I am fascinated by them, why they do what they did, what makes them tick, how they did it, profiling and their personality. One case that is my favourite is Charles Manson and his ''family''. Though Manson himself never killed anyone, his charismatic and a close tight knit group of outsiders living in Spahn Ranch, Manson had his inner circle do his bidding. Most notoriously, the murder of Sharon Tate and the LaBiancas. Because this book is in Manson's own words, we get the best understanding we can hope for of his psyche, and a look into his twisted mind. 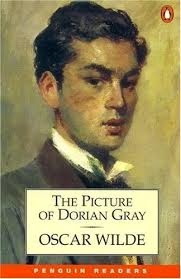 Written by one of the greats, Oscar Wilde, Portrait of Dorian Gray is one of Oscar Wilde's best known works. When first published, it was considered immoral and scandalous. This classic is about a young man named Dorian Gray, who is the subject of Basil Hallward's painting, who thinks Dorian is a pure beauty. Dorian soon embraces hedonism with Basil and a new group of friends and believes the only things worth chasing are beauty, aesthetic fulfilment and pleasures of the flesh. I think this will be the book I'll read after Frankenstein and De Profundis. I've wanted to read Lord of The Flies for quite some time now, another great classic. After a plane crash, a group of British boys find themselves marooned on an uninhabited island and they attempt to govern themselves. The boys divide into two groups, one led by Ralph, the other led by Jack. Lord of The Flies portrays the boys descent into savagery, away from modern society, a group of well educated British boys regress into a primitive state. The first and only novel written by Sylvia Plath. Initially published under the pseudonym Victoria Lucas, Plath committed suicide a month after it's publication in the UK. The Bell Jar follows Esther Greenwood, who becomes mentally unstable after interning for a magazine in New York City. The Bell Jar parallels Sylvia Plath's own battle with clinical depression, with many similarities shared between the character Esther and Plath, and secondary characters based off real people. 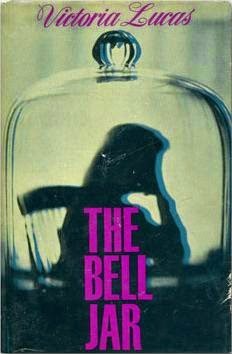 I really think I would love The Bell Jar, and it sounds like an interesting read. Besides, I love Plath's poetry. And they are the books that are on my wishlist! Do you read much? What books are currently on your wishlist? Let me know below! I miss reading so much! I don't find much time for books these days, and when I do, I prefer easy to read chick lit. It just means I can dip in and out, and not feel too bad if I don't get a chance to finish it for months. I think Dracula was one of the last books I read properly before I had my son, and Frankenstein is similarly amazing, you'll really enjoy it! I've never read The Bell Jar so would love to read that! Charity shops are brilliant for the classics - so cheap to buy, and you're helping out! I've been wanting to read Stoner for a while now, and some Marian Keyes ones that I missed out on. Not sure I can cope with aul Sylvia until the weather gets warmer!